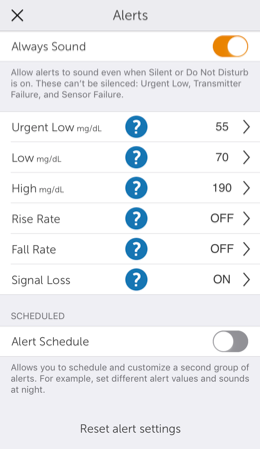 What Smart Device Operating Systems are compatible with Dexcom Apps? Dexcom limits the compatibility of new Dexcom app updates with old versions of Apple Operating Systems (iOS) and Android Operating Systems. At a minimum, Dexcom intends on supporting the current major OS version, plus the previous version for each platform. New OS versions often include privacy and security improvements and additional phone features that can offer users a better experience. Check the Dexcom compatibility chart before installing a new iOS or Android OS version on your smart device. Dexcom tests all its apps on new OS versions after the OS is released. It may take several days or more to complete testing and, if necessary, update the Dexcom app to be fully compatible with a new OS version. We recommend waiting on installing a new OS version until we approve it, because your Dexcom app may not work properly upon the initial release. Before updating to a new version of a Dexcom app, ensure that your smart device is running on the latest supported OS. Some new app features may only be available with the latest OS. OS requirements will always be noted in the App Store and in the “What’s New” content within the app. Finally, don’t forget to check the compatibility chart before purchasing a new smart device to use with your Dexcom apps. Can I view my Dexcom G5 Mobile CGM data on an Apple Watch? Yes, you can check your CGM information on your wrist! The Dexcom G5 Mobile App supports Apple Watch and can be used to discreetly view your glucose reading, trend arrow, and trend graph. Use the digital crown to scroll the trend graph view between 1, 3, or 6 hours of data. You can also view your number and arrow as a complication on your watch face. You can choose from four complication styles depending on your preferred watch face. To set up Dexcom G5 Mobile on your Apple Watch you’ll need to use the Watch app located on your compatible iPhone. To add complications, use the Watch app to choose the watch face and complication style that you want. If you would like the color of your Dexcom complication to reflect your glucose status, choose the multicolor option for the watch face. See your Apple Watch instructions for more detail on setting up an app on the watch. When you wake your Apple Watch, it syncs your current CGM data from your compatible iPhone. There may be a brief delay before your watch app or complication shows current information. Place the Dexcom G5 Mobile app in the Dock and turn on background app refresh for best performance. Your Apple Watch will only communicate with your compatible iPhone, not the Dexcom G5 Transmitter. You will not receive alerts, alarms, and other notifications on the watch unless it is connected with your compatible iPhone. For example, if you have your watch on and you go out, but leave your iPhone at home, you will not receive any CGM updates. Dexcom G5 App v1.6 and Apple Watch running watchOS 3 or later required. US only. How soon will Dexcom support new OS versions after they are released? 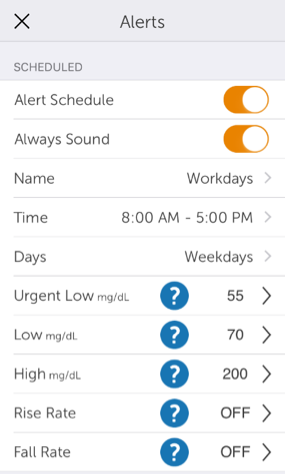 Dexcom tests all apps on new OS versions, including public betas, after the OS is released. It may take several days or more to complete testing and update the app to be fully compatible with a new OS version. Dexcom recommends checking our compatibility chart before installing a new OS version on your smart device, and not installing the new version until we approve it. We encourage you to not install any beta OS version on your smart device while you are using it to run a Dexcom app. What Can I Do if My New G5 Transmitter is not Pairing to my Receiver or Smart Device? Anytime you have a new transmitter, make sure you enter the serial number before you insert the transmitter into the sensor pod. After putting the transmitter’s serial number into the receiver or smart device, attach it into the sensor pod. Pairing can take anywhere from 10 to 30 minutes. You know the transmitter and receiver are paired when the Bluetooth icon stops blinking. 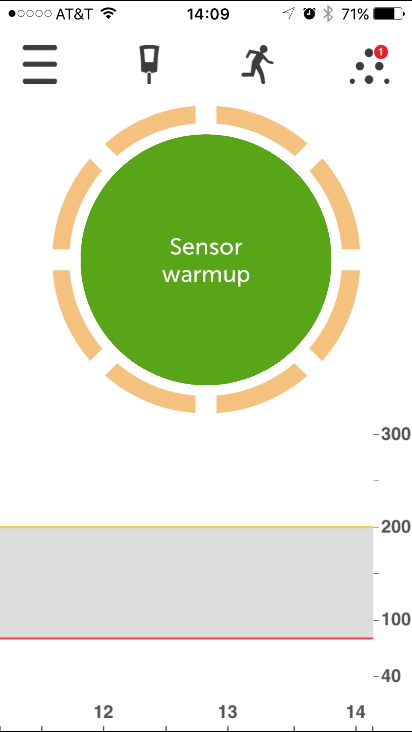 When your Bluetooth icon is solid, go ahead and start your new sensor session. What Do I Do if I’m Not Hearing my Alarms on my Smart Device? 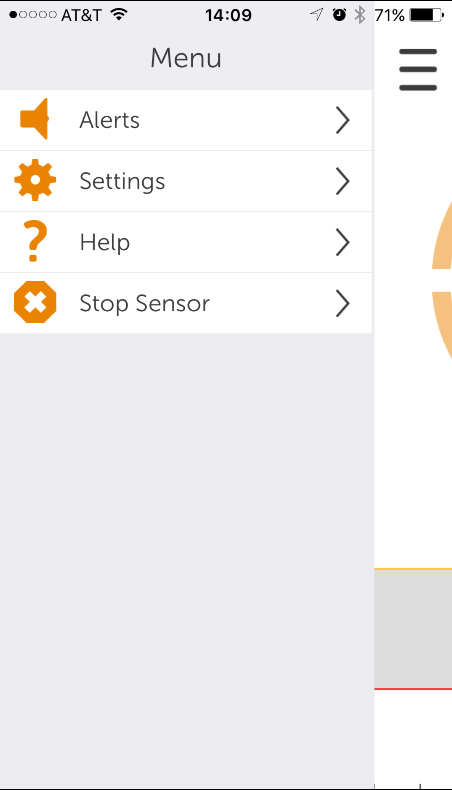 If you’re using a Dexcom G5® Mobile CGM System and you noticed that you missed a notification but didn’t get a Signal Loss Alert, double-check your smart device settings and the sound settings in the app. The device volume is low. The device is on Mute, Vibrate, or Do Not Disturb. You always get a visual notification, but you may not hear sound on your first notification. 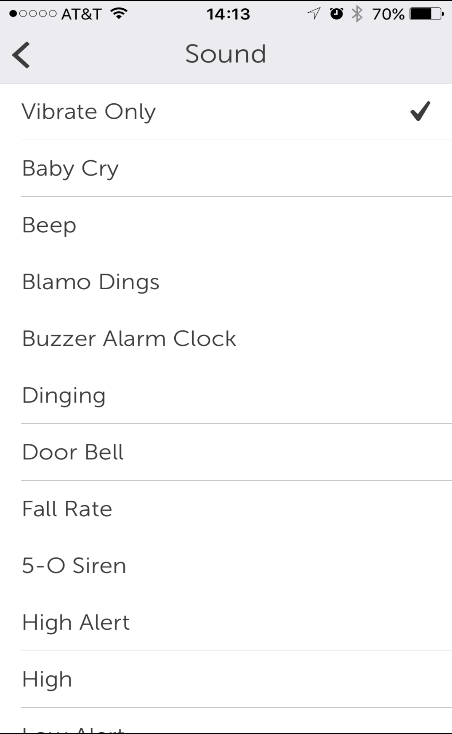 Unless you clear an alarm or alert, it repeats at half volume after 5 minutes, and at full volume every 5 minutes after that. 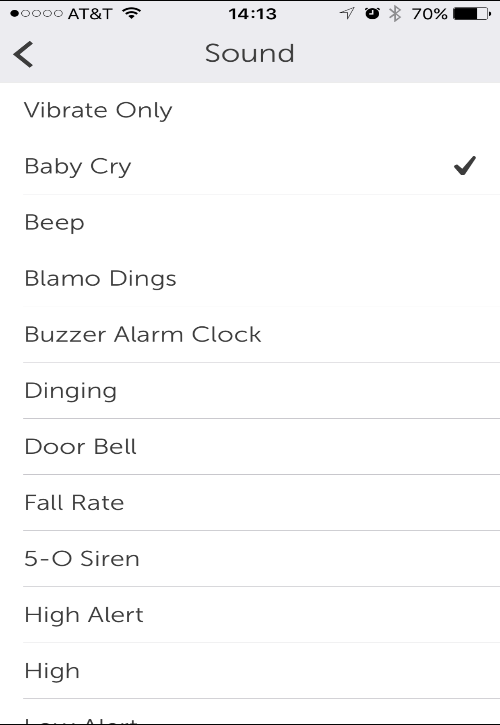 Important: If you have chosen Vibrate-only as your sound setting for an alert, that alert will never make a sound. The G5 app cannot override most wired and Bluetooth headphones or other accessory devices. Do not assume you will hear alerts when accessories are connected to your smart device. As always, make sure the smart device and transmitter are within 20 feet of each other, with nothing blocking the transmitter’s signal. * for a list of compatible devices, click here. What does the "Signal Loss" alert mean? The signal loss alert tells you when your receiver or smart device isn’t communicating. This may occur if you (and the transmitter) are too far from your display device or something is blocking your transmitter signal, causing you not to get sensor glucose readings. What does the "Bluetooth is off" alert mean? The Bluetooth off alert means this function is turned off. Bluetooth must be on in order to display glucose information on your device. Refer to your smart device guide to turn on your Bluetooth. This screen means you recently entered a calibration blood glucose value and the sensor is having trouble calibrating. Follow the directions on the screen to enter a finger stick reading in 15 minutes to restore readings. The app will guide you to enter the SN number by taking a photograph of the barcode on the bottom of your transmitter box, or by typing in the SN. After entering the SN successfully, you will be prompted to insert the sensor and attach the transmitter. From there, wait up to 30 minutes for your smart device and transmitter to connect. You can only set your transmitter ID when you are not in a sensor session. If you are in session when you attempt to pair a new transmitter ID, the app will ask you if you wish to stop the current session. Selecting STOP SENSOR will end a sensor session you may have with a current working transmitter. How do I invite new Followers? In the Share2 app, press the Followers tab to invite a new Follower. Enter the Follower’s nickname and e-mail address. Re-Enter the Follower’s e-mail address to confirm the correct address (the Follower will get a Follow Invitation e-mail at this e-mail address). Make sure the Follower can access this e-mail account from their iPhone or iPod touch. Press the “Next” button. Choose whether or not you want the Follower to see the trend graph by pressing the on/off switch next to Allow Trend Graph View. Choose whether or not the Follower will get low, urgent low and high glucose notifications on their iPhone or iPod touch. Notifications are sent when the glucose level and time delay conditions are met. Press the “Send Invitation” button to send a Follow Invitation e-mail to the Follower. Once your invitation is sent, the Sharer cannot adjust the Follower’s recommended settings. 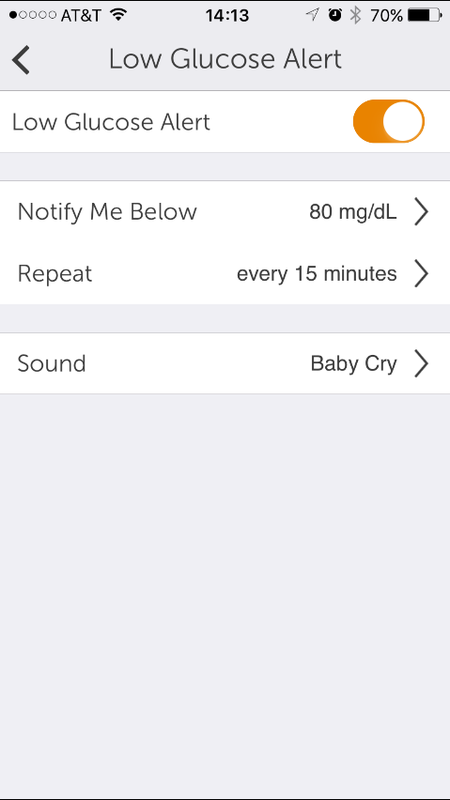 To add more Followers, press the Followers tab on the bottom of the Dexcom Share2 app screen. Then press “Invite Followers” button. You may invite a total of five (5) Followers per Dexcom Share account. When finished adding Followers, press the “Done” button. Is Dexcom covered by Medicare?